Yes, this can substitute for caffeine. Sort of. I’ve written before about how I used to struggle with caffeine addiction, and then found a way to cure it in four days without withdrawal symptoms. I still drink caffeine, in much more reasonable quantities, but since kicking my addiction I’ve also found it useful to find other ways to boost my energy levels. The following are ten things I occasionally use in place of caffeine. Some of them provide mental energy, some provide physical energy, some provide both, and one of them only provides flavor. Whether you’re cutting caffeine out altogether or just cutting back, you’re sure to find at least a couple things on this list that work for you. L-Tyrosine is an amino acid I mentioned in my previous article about quitting caffeine. In short, caffeine depletes your brain’s tyrosine stores, and by replenishing them with tyrosine pills, you can avoid most withdrawal symptoms while also giving yourself a milder form of the stimulation caffeine gives you. 500 to 100 mg of tyrosine is stimulating in much the same way that caffeine is, but to a much lesser degree. It will probably give you less energy than caffeine, but that energy will more even and won’t come with caffeine jitters. Plus, tyrosine isn’t addictive- in fact, it’s anti-addictive, as you’ll crave stimulants less when your brain has plenty of tyrosine with which to produce dopamine. These are actually two different drugs, but they’re closely related and have nearly the same effect. Piracetam is the single most popular nootropic (brain-boosting) drug in use today; noopept isn’t as well known, but is also quite popular. Scientists are still figuring out all the mechanisms behind these two drugs’ nootropic effect. Piracetam seems to work by increasing the permeability of cell membranes in your brain, so brain cells become more efficient at taking in nutrients and disposing of waste. Noopept, for its part, has been shown to increase neurogenesis- the creation of new brain cells. Both drugs are taken mainly for their long-term, rather than immediate effects, and should ideally be taken 2–3 times a day for several months. Some people do experience immediate effects, but I wouldn’t count on that. Piracetam is the better studied of the two, but noopept is cheaper, coming in at less than five cents a day. 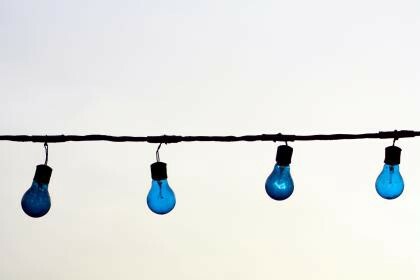 Blue light signals your brain that it’s daytime, and is one of the main cues that your brain uses to set its circadian rhythm. Shining a blue light in your face for 20–30 minutes can jolt your brain awake, without the jitteriness, or addictiveness, of caffeine. I use the Phillips Go-Lite, both for the occasional pick-me-up and as a superior alternative to regular alarm clocks. You don’t want to stare straight at the light though- the best way to use it is to sit down, set it on whatever desk or table you’re sitting at, and shine it at your face at a 30 to 45 degree angle, from a distance of one to two feet. These two supplements combine to pack a powerful one-two punch of mental energy. First, acetyl-L-carnitine helps transport fatty acids throughout your body to be burned for energy. Second, alpha-lipoic acid helps your body’s cells to absorb and use that energy. The two supplements can be taken separately, but combination capsules are also available. This combination has an amazing ability to quickly clear your head and crank up the voltage between your ears, particularly first thing in the morning. It does lower blood sugar, so it’s usually best to have it with a little food. You’ll have to play around with the dosage a bit; I think most people will see the best results with 1000–1500 mg of carnitine and 300–600 mg of ALA, but some others recommend a higher proportion of ALA.
It’s much harder to destroy a habit than to change one. When you cut out caffeine, you’ll need to replace it with something else, and this is a simple, healthy alternative for avid soda drinkers. Mix 8–12 ounces of club soda with no more than one ounce of fruit juice for a low-sugar soda substitute. Don’t overdo the juice, since it is sugary. I like the flavored club sodas, since they allow me to use less juice. Ginseng is a popular adaptogen, meaning it helps your body adapt to stress. It’s not all that stimulating, but provides a relaxed, non-jittery energy. Ginseng can be taken in pill form, or as a tea, and is best taken in divided doses, 2–4 times a day. If you’re not cutting caffeine out altogether, it also combines very effectively with lower doses of caffeine. Another common herbal nootropic, ginkgo biloba has been shown to increase cognition and short-term memory. It also seems to have a synergistic effect with ginseng, and there are many supplements which combine both herbs- I like this one. The effects take an hour or two to kick in, and it’s best dosed at 120–240 mg, taken with food, 2–3 times a day. One of my personal favorites, this neat little cocktail isn’t exactly stimulating like caffeine, but provides your body with the raw materials it needs to produce thyroid hormone and cortisol. Drinking this first thing in the morning really helps you wake up and feel more alert throughout the day, and the effects build up over time so that you find it easier to wake up in the first place. In addition to providing energy, this is also a great tool for improving body composition. In addition to responding to light cues, your brain is also programmed to be more alert when you’re standing up, rather than sitting or lying down. You may have heard that if you’re driving at night, and feel like you’re going to fall asleep, you can pull over, get out of the car and walk around for a few minutes to perk yourself up. That’s true, and you can use this in any situation where you’re starting to feel tired. Just stand up for at least 15 minutes, giving your brain time to shift into “wake up and be active” mode. For productivity purposes, you’ll probably see the best result if you alternate sitting and standing throughout the day. Also, you think faster standing up, so it’s useful if you have to think on your feet. At my old sales job, I used to always stand up when making phone calls, and sit down when sending emails. Kratom (Mitragyna Speciosa) stands out from the other supplements on this list for a few reasons. First, it can be addictive, albeit no more so than caffeine. On the plus side, it’s also more powerful- many users describe it as literally life-changing. My own personal experience wasn’t quite that amazing, but I have found it to provide an incredible boost to mood, energy, productivity and exercise performance. Kratom has multiple active ingredients, or alkaloids, and comes in a variety of strains, each of which has a different mix of alkaloids. These strains vary in their effects- fast strains are highly stimulating and great for physical activity, moderate strains are moderately stimulating and great for productivity and mental activity, and slow strains are more relaxing and used mainly for the mood boost or inducing sleep. Ideal dosage depends on bodyweight- usually 2–3 grams, mixed with a hot beverage like tea or coffee and consumed on an empty stomach (you can eat after), 2–3 times a day. Start lower though, to assess tolerance, as taking too much can cause nausea. Because different strains have different mixes of alkaloids, you can enjoy the full benefits of kratom while avoiding addiction and tolerance by rotating between several strains throughout the week- though I would also recommend not using this stuff every day. For someone who’s never tried kratom before, I would suggest getting 3–5 different strains, and using each of them one day a week. There are a lot of companies selling kratom online, and it can sometimes be found in local head shops, but the best source I’ve found is Happy Hippo. Their Starter Pack is great for everyone, but particularly newbies; my favorite strain is their Red Hot Hippo. I’ve given you ten things here, and ten things is too many. As always, the key to success here is focus. Pick two items on this list, and try them for a couple weeks before trying something else. Nootropic use is a very individualized thing, so find what works for you. If you liked this article, please press ♥ below so others can enjoy it too. Sleep 7–9 hours a night. Have more energy and be more productive every day. Develop habits that make healthy choices easy. Stop stressing out and start enjoying life.